My niece and her daughter ready for the train ride. During October visitors come to Jefferson TX for many things but mostly for our ghosts. You can get your thrills either walking or riding. Either way you will be delighted with the chills you’ll be feeling and they might not be from the cool air. This year’s annual Runaway Fright Train will feature “Trembling Twisted Tales”. As you ride through the dark woods in this 45 minute trip along the Big Cypress Bayou, you’ll see twisted fairy tales emerging from the swamplands of East Texas. Other free activities will include mini-maze, mini-haunted house, children’s crafts and games. This is an all-around fun time for the whole family. On Halloween evening, you’ll want to participate in the Best Costume Contest for CASH PRIZES. Prizes awarded after each train ride. 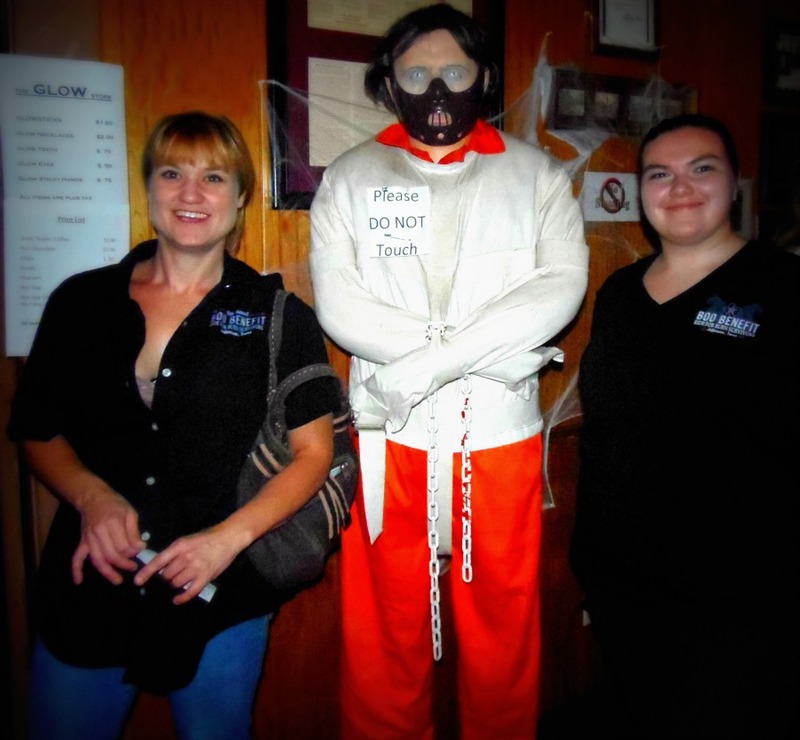 Now if you’d rather walk than ride, you will want to join in on the Ghost Walk Tours. This is a 2 hour walking tour of many of the old buildings which are known for being haunted. Jodi is a great historian with plenty of stories about Jefferson’s haunted past. She will guide you around town sharing tales of some of our most colorful characters from earlier times and you might even be allowed into some of the most haunted. The tour will have you taking picture just hoping to capture one of those orbs or even an apparition that will give you chills down your spine. If you are interested in experiencing Jefferson’s most haunted house the Grove may be your best bet. You’ll hear the fascinating history of this 1861 house, along with the true supernatural experiences of the owners, past and present. If taking the walking tour, be sure to bring some water and a jacket or sweater. If riding the train, you’ll want to bring a lap blanket and something to keep warm. During the evenings in October it can get a little chilly so bundle up for the adventures that await you. Make sure to charge you phone and camera batteries so you won’t miss one minute of the thrilling memories. This entry was posted in Fall Events, Ghosts by Tammy D. Bookmark the permalink.